£13.5 million voucher code and a reach around here. I don't seem to have got a message other than the usual game release messages for game pass. Are these on dashboard? Or email? Where are you seeing these messages? Can someone post a screenshot please? I got a free skin for Devil May Cry 5 - for anyone asking it was in the 'messages from Xbox Live' section on the communication menu. 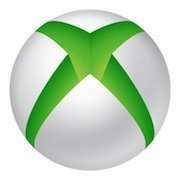 On Xbox, press Xbox button on controller, go right once for communication, then go to messages from Xbox live. Saying that I haven't got anything BOOOOO!!!! On Xbox, press Xbox button on controller, go right once for communication, …On Xbox, press Xbox button on controller, go right once for communication, then go to messages from Xbox live. Saying that I haven't got anything BOOOOO!!!! Should this appear in the app also? (if so, checked their first, nothing). Same here. Though I did play the demo - and didn’t like it. Think I’m the only one!! Someone posting a non existent "deal" for likes? You'll get 53p change from that then. Message from Xbox on the app advise you view them on the console directly. However you will be able to see if they've messaged you on the app. Yeah I got the free code for the Devil May Cry 5 skin, useless as I don't even own it.. If you already have or won't use the reach around could I possibly have? I know someone who got a £10 voucher, nothing for me though. Nobody else I know on xbox got one either. Deal posting newbie! This is Icraig first deal post. Help out by leaving a posting tip or just to show your appreciation for their contribution.